I woke up thinking through Plato’s view of the human body today. This will come up next week when I teach Books IV and V of the Republic. Expecting some associations with and attempted slanders of the Roman Catholic view of marriage and physical relations in marriage, I read up in The Catechism of the Catholic Church on marriage and the expression of marital love to confirm that the Roman Church is not Neo-Platonic in her conception of the physical body. The degree in which the Catechism is not Neo-Platonic in its view of the human body, marital love, and the gift of children is rather astonishing. Plus, I experienced the added bonus of reaching the beautifully written and theologically informative document that the Catechism of the Catholic Church is. If only we had something like this as Protestants! The Catechism covers not only issues of personal belief and conduct, but also social issues such as just war, birth control, abortion, etc. and is so beautifully written. I probably should put it on the reading list for this summer. 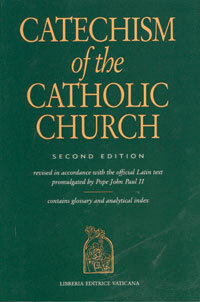 The structure of the Catechism is the same as most Reformation era catechisms. The first part contains “what we are to believe concerning God.” The second part contains “what duties God requires of us.” Another way to summarize the Catechism is that it has three sections: The Apostle’s Creed, the Ten Commandments, and the Lord’s Prayer. All of the Reformation catechisms except the Westminster are organized around these three symbols of the faith: what to believe, how to live, and how to pray. I haven’t been able to read much in it. But from what I’ve read, I highly recommend it for both Protestants and Catholics. Protestants will find much more common ground with our separated brethren than many would expect, and where there are differences, It behooves both Protestants and Catholics to be informed about what those differences are and be able to accurately understand and express those differences. I introduced my tenth graders to Plato’s Republic on Monday. The Republic dives right into a demonstration of philosophical method that can be hard to follow for the uninitiated. So today, we did a class exercise in philosophical method and attempted to define justice, attempting to give them the experience of engaging in and experiencing a philosophical discussion. Our exercise was a success in both Western Thought classes today. I have two more sections of that class tomorrow, so I’m looking forward to seeing how that goes. Plato (or Socrates) tends to ask questions and not arrive at a final answer. So in preparation for this exercise, I read just a tiny bit of St. Thomas Aquinas on justice in Summa Theologica, II:II, Q. 58, A. 1. My daughter gave me Peter Kreeft’s Summa of the Summa for Christmas last year, and over this past summer, I was able to make some headway in it. St. Thomas makes me remember that “a word fitly spoken is like apples of gold in a setting of silver” (Proverbs 25:11). The Summa is an intellectual tour de force. From what I can tell, the Summa may be the high water mark of the Christian church in both philosophy and theology. I feel a little bit of a guilty pleasure in writing this, because I’m a convinced Protestant. The style, the majesty, the meticulous thinking of St. Thomas, and his humility shine through to make the Summa a beautiful thing. I’ll have to read Lombard’s Sentences, which was Thomas’ model, to see how much they are alike. But talk about “copyrighting your faults”! Here is this ponderous, methodical style that Thomas has, which many people would believe to be a great liability (I’m not sure about back in his day, but it certainly is in ours!). Yet, Thomas trademarked it, and became the “Dr. Angelicus” of the Roman Catholic Church, and indeed, in many ways, of all of Christendom. 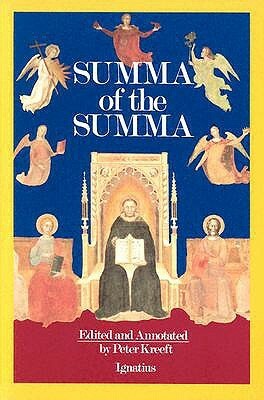 The Summa is theological manual, a catechetical tool, to instruct people in the faith. But above all, I see its beauty. The beauty of expressing complex ideas in methodical way, of closing off all of the possible doors and windows that Thomas’ ideological opponents may be able to escape through, and doing this so modestly, without a hint of pompousness or unctuousness. The beauty of breaking down complex ideas and making them simple is the gift of the teacher. Every time I read in the Summa, I marvel at what a gifted teacher God has given the Church in St. Thomas, and how much can be learned from him. What have you read lately that has given you a new appreciation for the beauty of words aptly spoken? I’d love to hear from you!